Together with Miejskie Przedsiębiorstwo Komunikacyjne in Krakow , MOCAK’s partner, we would like to invite you to join us at a special Santa Claus event. 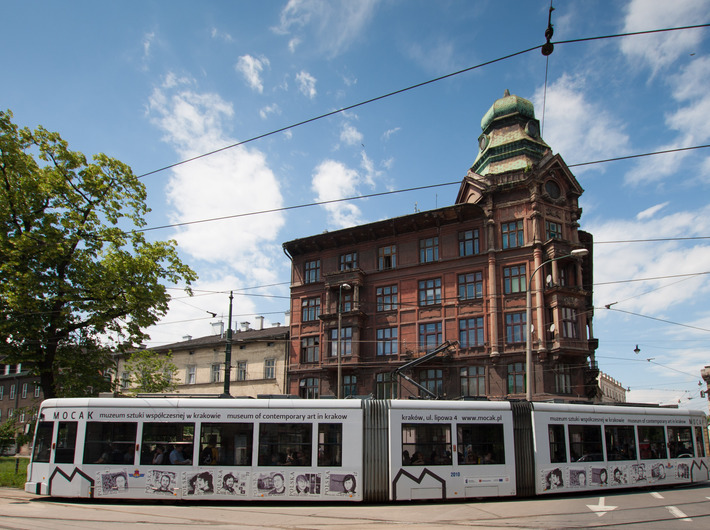 For almost three years now, we have been able to spot a Bombardier NGT6 riding around the streets of Krakow with the Museum’s advertisement on its side. 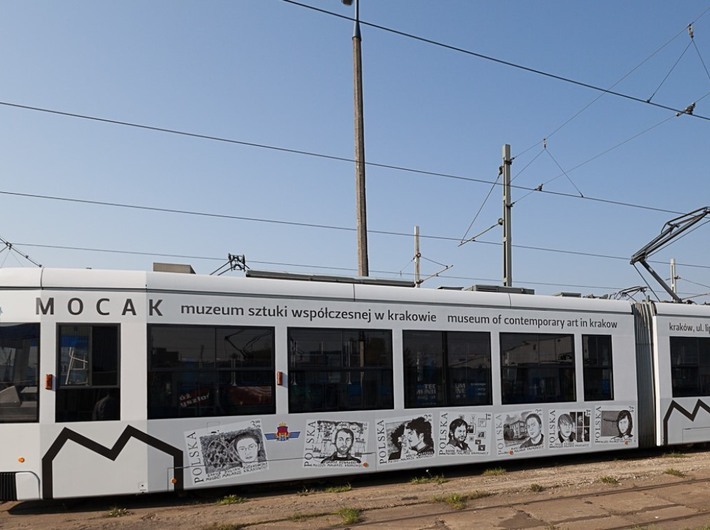 Currently, the vehicle displays reproductions of two works from the MOCAK Collection: Young Cracow Painters by Pola Dwurnik and Painter’s Palette by Tomasz Ciecierski. For the upcoming St. Nicholas Day, on 6 December between 9 and 2 pm, the route 6 tram will host a special action addressed to people from Krakow. The passengers will be greeted by Santa Claus, who will distribute sweet gifts and holiday postcards designed by Ryszard Winiarski. 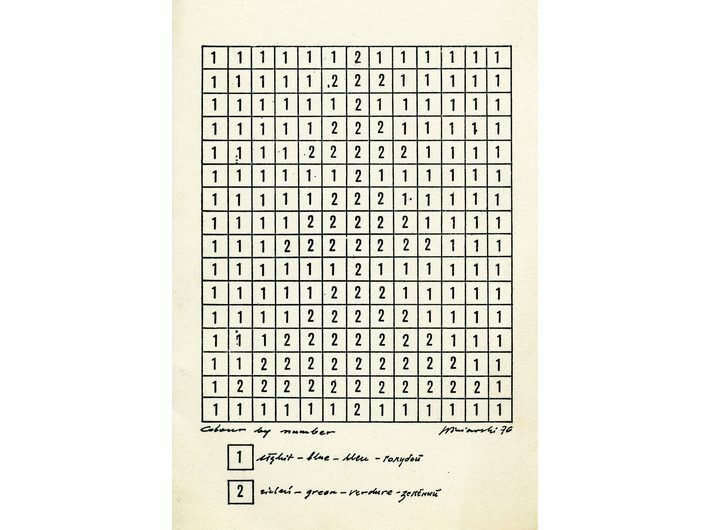 On the cards, you will find a Christmas tree that you can colour following to the artist’s instructions. In addition, we have prepared a special educational package for children, To Work!, with a number of creative tasks connected with works from the MOCAK Collection. The little ones will be able to take the package home. When they complete all the tasks and bring the notebook back to the Museum, they will get a free entry pass together with their parents.